Urging rapid and united action from governments, businesses and individual consumers, envoys underlined that nine million people are now killed by pollution every year—one in six global deaths. "Pollution is the biggest killer on the planet and we need to defeat it," UN Environment Programme head Erik Solheim said at the third UN Environment Assembly (UNEA) in Nairobi, Kenya. Of the annual tally, nearly seven million people succumb from inhaling toxins in the air—from car exhaust fumes, factory emissions and indoor cooking with wood and coal, according to a recent report by The Lancet medical journal. Lead in paint alone causes brain damage in more than half-a-million children every year. Yet, as the human toll keeps rising, so does the trashing. "Over 80 percent of the world's waste water is released into the environment without treatment," Ligia Noronha, director of the UN Environment Programme's economy division, told journalists at the assembly. "Close to 50 million tonnes of e-waste are produced every year." The UNEA is the highest decision-making forum on issues concerning the natural environment, with all 193 UN member countries represented. 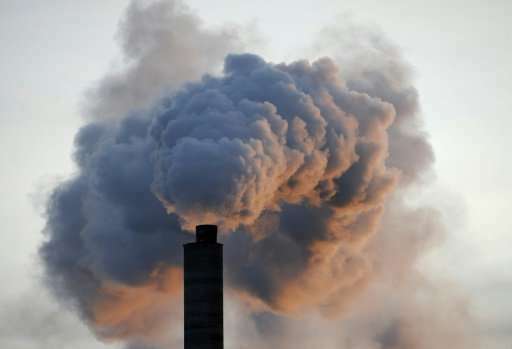 It gathered environment ministers and deputies from more than 100 countries in the Kenyan capital from Monday to Wednesday, to thrash out the wording of a global, political declaration entitled: "Towards a Pollution-Free Planet". The pact will commit UN member countries to limiting humankind's fouling of the planet with chemicals, non-biodegradable litter, and toxic smoke. The ministers are also negotiating a number of specific anti-pollution resolutions to limit the amount of fish-choking plastic that finds its way into the ocean, for example, and to stop the use of lead in paint. The recent report by The Lancet said welfare costs associated with pollution, including medical costs, were nearly $5 trillion (4.2 trillion euros) a year—more than six percent of global economic output. "It's not just a problem of health. It's not just a problem of productivity and implications to the economy, but it's also very much a problem of human rights," said Noronha. 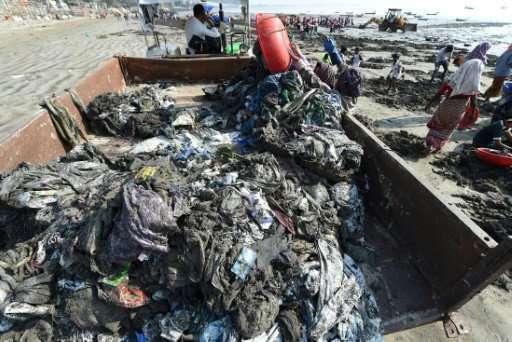 "People have a right to live in clean environments." The president of the UNEA meeting, Costa Rica's environment minister Edgar Gutierrez, said he had urged government representatives to set aside narrow national interests and look past contentious issues to find "common ground". "Looking at the whole, we have done a very bad job taking care of our environment," he said. "And the worst part of this is that we have very little room now to make mistakes." The assembly gathered more than 4,500 participants including government representatives, NGOs, scientists and business people. The good news is that human population growth is already leveling off. The next step is to manage and reduce the per-capita pollution, which we can do by switching to hard-wearing goods and more efficient energy sources. Lab-grown meat might be a huge step forward, too. Human population isn't leveling off, it just isn't expanding as rapidly as it was in recent decades. We already know what it would take to greatly reduce the amount of pollution on this planet. In fact, we've known for a long time. We haven't bothered to do so because we are addicted to the easy "benefits" of oil, plastics and throwaway items to which we have addicted ourselves. We are a short sighted and stupic species. I don't see us improving our behavior during my lifetime.